May 8, 2014 The Muslim Students Society of Nigeria (MSSN) yesterday described the activities of the insurgent group, Boko Haram, as un-Islamic and devilish. President of the group in the North, Malam Yusuf Arrigasiyyu, made the condemnation in an interview with the News Agency of Nigeria (NAN) in Kaduna. He also condemned the recent bombings at Nyanya in Abuja and abduction of over 200 students by the insurgents. “This bombing and killing of innocent souls by the Boko Haram has to stop. The teaching of boko haram is not Islamic and they don’t represent Islam, they are not Muslims. Islam is a religion of peace,’’ he said. 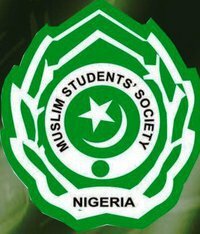 May 12, 2014 The Muslims Students’ Society of Nigeria (MSSN), umbrella organisation of Nigerian Muslim students, held its 60th anniversary celebrations, highlighting its achievements and the challenges it has encountered over the decades. The event took place on Saturday, at the Trade Fair Complex, in Kaduna. The society, known as MSSN, emerged as a result of the enormous challenge faced by the Muslim students during the colonial era. Muslims, then, had to disguise their faith in the predominantly Christian Missionary schools in order to evade persecution and oppression by the authorities. The struggle for the formation of the MSS could be traced back to a group of vibrant Muslim students from Methodist Boys High School, Kings College and Queens College, all in Lagos State. It was that group’s humble effort that led to the birth of the MSS on 18th April, 1984. It was officially launched on 30th May, 1954 at Ansarudeen Primary School’s Hall, Alakoro, Lagos Island, amid prayer, euphoria and exhortation from Islamic leaders who were invited to grace the formal inauguration. …played leading roles in the formation of international students organisations such as International Islamic Federation of Students Organisations (IIFSO) based in the Kingdom of Saudi Arabia, the International Institute of Islamic Thought (IIIT) with headquarters in the United States and serves as a source of inspiration to the formation of others in different parts of the world, including Muslim Students’ Association of Canada and America (MSA). In September 2011, the GMBDW reported that the Nigerian branch of IIIT sits on an Islamic coordination council in that country that also includes the Muslim World League (MWL) and the World Assembly of Muslim Youth (WAMY), both Saudi organizations close to the Muslim Brotherhood. In October 2011, the GMBDW reported that the Nigerian IIIT branch called for the freedom of each state in that country to allow for a religious-based constitution. The International Islamic Federation of Student Organizations (IIFSO) is essentially the international youth organization of the global Muslim Brotherhood and many important leaders in the global Brotherhood are known to have been officers. For a profile of IIIT, go here.